Federal bankruptcy law provides for different bankruptcies, which are identified by their chapter in the code. A Chapter 11 is an unusual bankruptcy for consumers, the vast majority of whom will choose either a Chapter 7 or a Chapter 13. However, a Chapter 11 bankruptcy makes sense for some of our clients who have too much debt or are a business. Consumers who want to keep their property might want to avoid a Chapter 7 liquidation, where the trustee can sell your assets and distribute the proceeds to your creditors. Often, Chapter 13 is a better option. In a Chapter 13 bankruptcy, you can come up with a payment plan (that usually lasts 3-5 years) and contribute your disposable income to unsecured creditors. At the end of the payment period, any unpaid amounts get wiped. If your debts exceed these limits, then you should consider your other options, with a Chapter 11 bankruptcy being the primary alternative. A Chapter 11 is ideal for many of our business clients because the business does not have to shut down. Instead, it can keep operating as it tries to reorganize its debts. Although creditors and the trustee can oversee how the business operates, many debtors in possession continue to make day-to-day business decisions. Once the business exits bankruptcy, it should be in stronger financial position because it has shed certain debts and has remained in business for years, continuing to build client trust. With a Chapter 11, the debtor comes up with a plan to pay off its creditors. Many unsecured creditors will only get a partial repayment on their debts, with leftover debt getting erased at the end of the bankruptcy. If this sounds a lot like a Chapter 13 bankruptcy, that’s because they are very similar. However, a Chapter 13 is reserved for consumers, so the only businesses that would qualify would be sole proprietorships or closely-held small businesses. Both large and small businesses can use a Chapter 11 bankruptcy to reorganize their debts. However, the paperwork requirements for a Chapter 11 can be onerous. Furthermore, the creation of a creditor’s committee to oversee the bankruptcy and the business might not be realistic when a company is small. 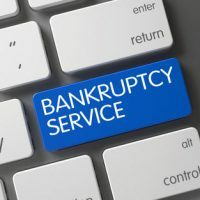 In certain situations, a business might be able to pursue their bankruptcy as a “small business case.” If so, the trustee will play a greater role in overseeing the bankruptcy than in other businesses. Consumers and businesses looking to find some financial breathing room should consider all of their options—including a Chapter 11 bankruptcy. At Nowack & Olson, our bankruptcy attorneys have helped many businesses and consumers reorganize debts under a Chapter 11, and we are here to help you, too. To schedule your free consultation, call us toll-free at 866-907-2970 or send an online message.